Abby and I attended The Big Chocolate Show in New York City a few weekends ago. We scoped out some of the bean to bar chocolate makers and tasted some of their delicious chocolate bars. However, our real mission was to identify some new chocolate bars to add to the new HeartBeet Farms Winter Specialty CSA. And one bag of organic flavored popcorn from a local Long Island producer. In addition, there are surprise bonus items added to the boxes each month! Clients receive a newsletter describing each product in the box. Many of the companies we select have social missions that impact both local and world agriculture. 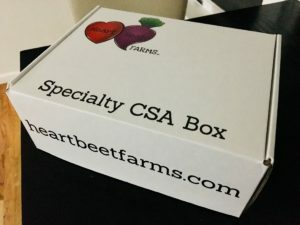 This Winter CSA box is offered as a 6-month, 4-month and 1-month option from November through April. 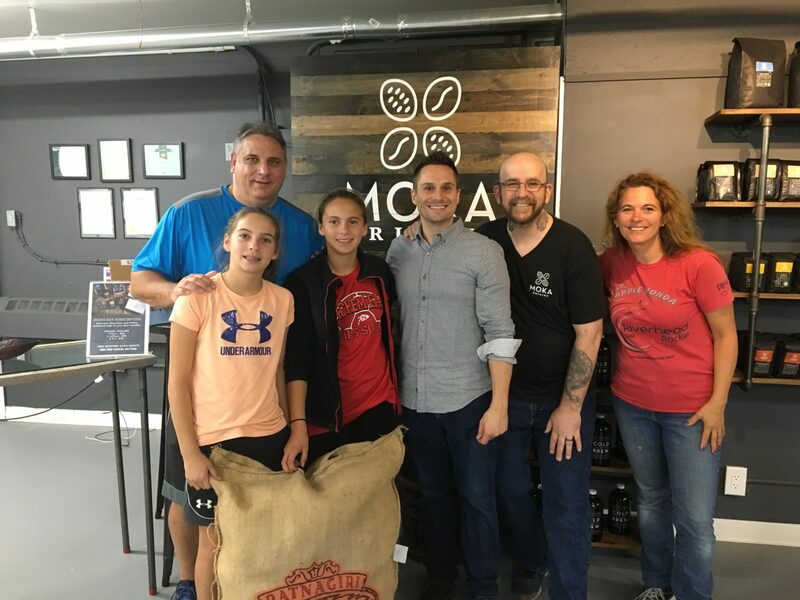 At the Big Chocolate Show, we came across a company called Moka Origins from Honesdale, PA. Abby and I were attracted to the look and taste of their chocolate bars. And then we learned more about their bigger mission...and we were hooked! Moka Origins is on a mission to create employment, heal the environment and reinvent the way consumers shop for chocolate and coffee. They strive for the betterment of farmers and their families around the world. They maintain and invest in their own farm in Cameroon, West Africa and also unite with farming partners around the world to create their products. These connections generate real social change. For every product Moka Origins' sells, they plant a tree - whether it be a mango, cacao, coffee, banana, citrus or other nitrogen-fixing tree. As of October, 2018, Moka Origins has planted over 30,000 trees. In Cameroon, they have created employment opportunities, donated thousands of pounds of food to those in need, invested in the local community, and helped create agriculture education and structure for local farmers. They produce their chocolate and coffee in a small barn factory located in Honesdale, PA - definitely worth a visit!! I will not reveal what Moka Origins bars we will integrate into our HeartBeet Farms Winter Specialty Boxes. But, rest assured, they are delicious! Like many bean to bar chocolate bars, there are very few ingredients added. 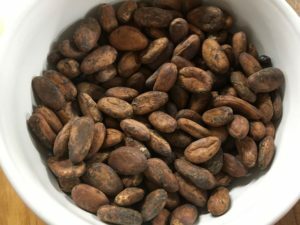 The cacao percentages are in the 70% range. Compare that to a typical confectionary chocolate bar in a grocery store which averages 11-12% cacao and is unfortunately full of added fillers. Like with any food we consume, pay close attention to the ingredient list. The shorter the list, the better. 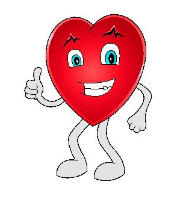 Cacao is a real food that comes from a plant. 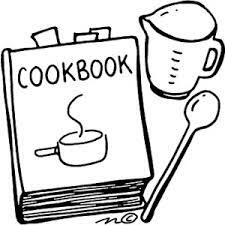 And, like with any food, how we prepare it, cook it, or process it, will impact its nutritional value. 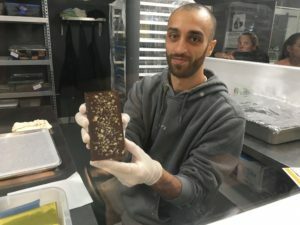 These bean to bar chocolate makers have taken this amazing food called cacao, retained its nutritious properties, and created a healthy, organic chocolate treat for us to savor. Join us during our Winter CSA to savor some healthy treats and learn more about both local and world agriculture and the companies that are helping to make important social change.